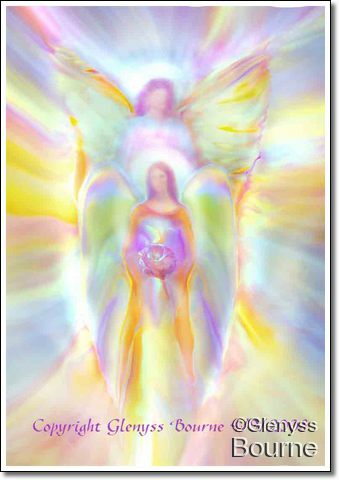 This Angel Art video was inspired by the Guardian Angels who work with me, to uplift the Earthly vibration and to comfort us in this time of great change. It will help to bring you in touch with your "Angelic Self". When we can access our Angelic Self we feel no fear and life becomes a great adventure. Growth and Change is our true nature! This video features the beautiful music of Lucinda Drayton and Bliss. It is very relaxing and will help to overcome anxiety and uplift your spirit. As you watch this video you will feel a sense of deep Peace and Tranquility and effortlessly enter a meditative state; and you will become more aware of the Angels who Love, nurture and protect you. This Angel video my Angel Art and the Angelic voice of Rhonda Christene (Swami Devamaya) who composed the music. The music is a simple and enjoyable form of meditation where Sanscrit Mantras are chanted, called Kirtan. The Angel paintings and music (Kirtan) are available on my website. The Angel Art and music (Kirtan) are available on my website. The video is best watched in full screen mode. Settle into a comfortable sitting position, take three deep releasing breaths, letting go on the out breath and be willing to open your heart to receive the Unconditional Love and Compassion which is your birthright! 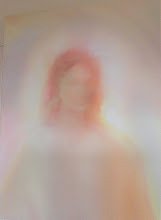 When you are focused on the image of Jesus, you may see his aura light up and the expression on his face change as he seems to lovingly look deeply within, to the core of your Being. My digital painting of Jesus can be purchased here. This short video will help to uplift your spirits and raise your vibration. Feel the Divine LOVE emanating from this deeply peaceful meditation! This video will transport you to the Heavenly Realms and help you to remember that You are Spirit! 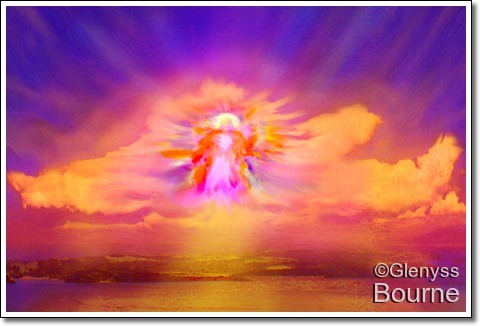 The Angelic image featured is Glenyss Bournes energy painting of of Sananda, the ascended Yeshua. 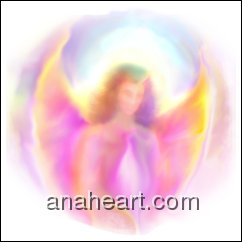 This is a Visual Meditation video, Angel Illuminations. It was inspired by the Angels. Seven days before making the video I knew nothing about movie making. I sat at my computer and with the help of my Angel Guides, I produced this video. The music that accompanies it is called Kirtan, a meditative form of Mantra Chanting. The music was given to me by divine guidance over fifteen years ago, just after I became a Reiki Master. I was driving my children home from school and I heard it in my head- both parts playing together, I rushed inside to my harmonium, and wrote it down before I forgot it! I have no musical training but have been a member of a Kirtan meditation group for many years and play Harmonium and drums. A group of us met at a recording studio and conducted our Sanskrit mantra chanting there. The result wes a genuine Mantra meditation tape with the actual vibration of the Kirtan energy embedded in it. 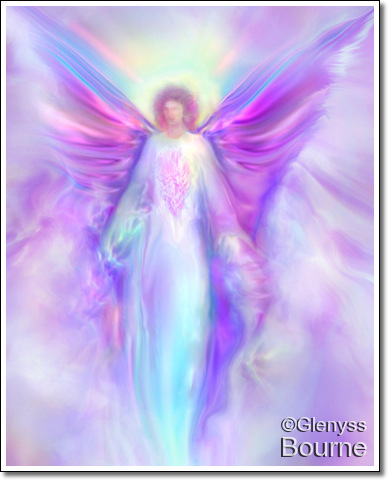 I have just produced a longer higher definition version of Angel Illuminations for sale on DVD. The mantra music meditation cd' " Anaheart Kirtan", which is about 1 hour of chanting plus the longer version of Angel Illuminations Video are bundled together and now available for sale on my website or at my eBay store angelartplus. Reiki is a very powerful way to boost and improve the intelligence. It is methodically possible to boost and increase the intelligence quotient iq with reiki.